Automotive Brakes should be examined a minimum of once a year for the safety of your vehicle. Maintaining your car’s brakes is one of the most crucial precaution you could take. You can have the self-confidence of knowing that when you press your foot to the brake, your car is going to stop. Poinsett Tire And Auto offers quality Lodi, Wi auto repair. What they do: Brakes are the most essential safety attributes on your automobile that receives utilized every day. There are 2 kinds of braking systems on the majority of cars; Traditional brakes and ABS. A normal braking system is comprised of the rotor, the caliper, and brake pads or shoes. 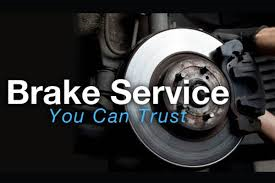 If your brake pads wear and are not replaced, you may require replacements of the rotors too. The faster you inspect troubles and change brake pads, the safer your automobile can be. Avoiding brake concerns may lead to various other more costly repairs. Contact us soon to book an appointment for a brake examination right away to set up your brake repair or other Lodi ,Wi auto repair service. Ness Auto Sales and Service is proud to be your local auto repair center and provider of Lodi, Wi tires.